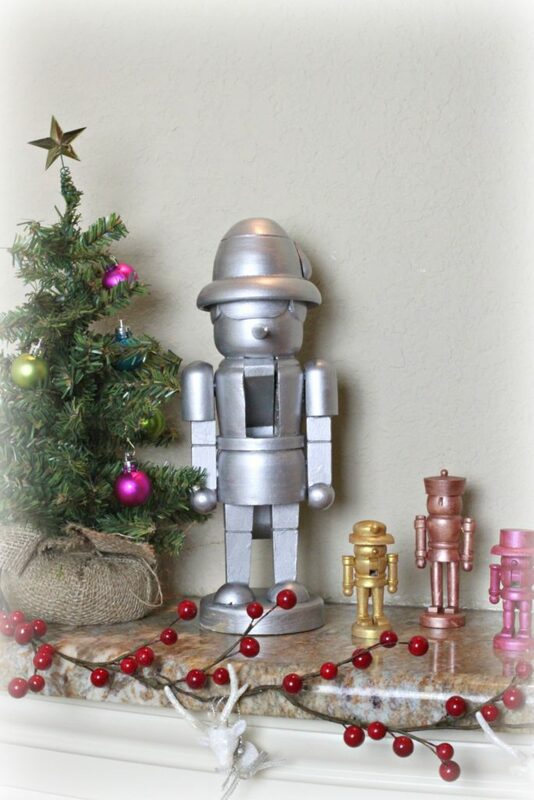 Make metallic nutcracker decor to brighten your home with this Christmas. This is a sponsored post with Goodwill San Antonio but all ideas and opinions are my own. I know where all the Goodwill San Antonio stores are, and each one is my favorite for a different reason. If I’m near one of the stores, I always pop in just to see what’s new. On the rare occasion that I’m near Loop 410 I always stop in that Goodwill because it has a great selection of unfinished wood items. I’m not sure where they get it from, but I always find a lot of unpainted hobby wood craft items. On my most recent trip in the fall I scored several unfinished wood nutcrackers. In less than an hour I had turned them into a dazzling holiday display! Step one: Collect a variety of nutcrackers from Goodwill stores. 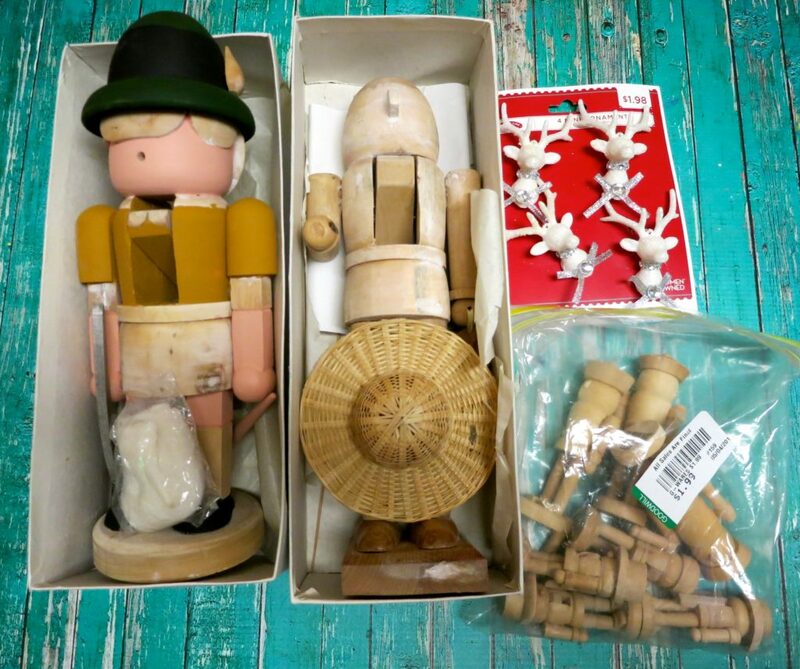 I always find at least one nutcracker when I shop at Goodwill, and I got really lucky this summer to find the bag with multiple miniature nutcrackers and soldiers (for just $1.99!) Be sure to check the holiday aisle at Goodwill all year round because you just never know which fun items you will find to craft with (like this elf that I turned into a garden gnome). Step two: Protect your work surface with a sheet of wax paper. This will keep your project from drying to the surface and it makes clean up easier. Step three: Choose your metallic paint colors. I went with traditional gold, silver, and bronzes, and threw in a pop of pink metallic just for fun! 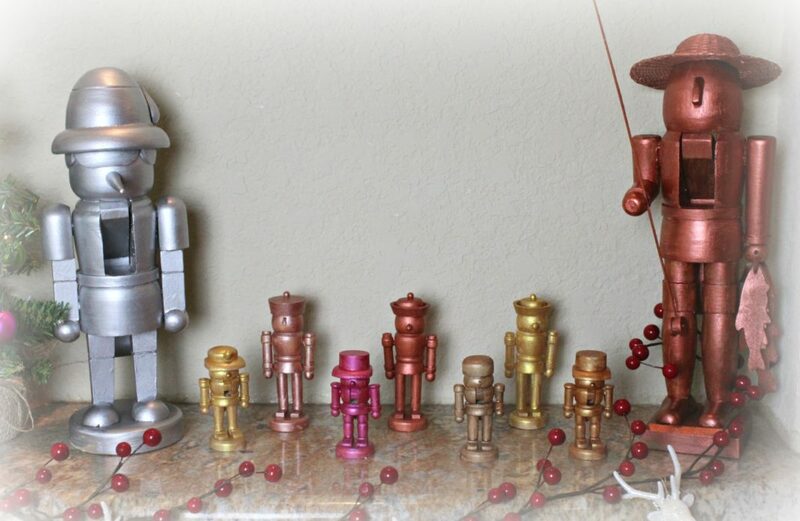 Step four: Paint each nutcracker one solid color. 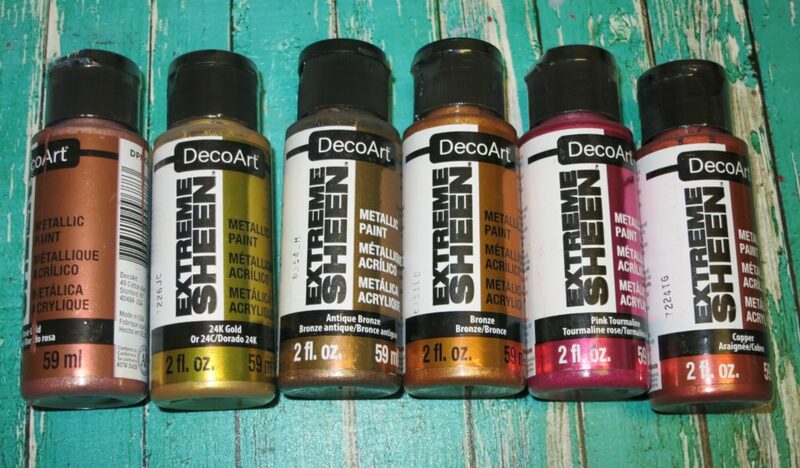 This speeds the painting process, and it makes the finished project look like it was dipped in metal or made of metal! 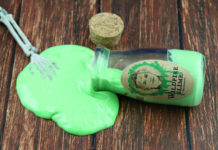 For best results, first turn the piece upside down, holding the head, and paint the bottoms of the hands, under the hat, etc. This ensures you won’t miss those tiny places. 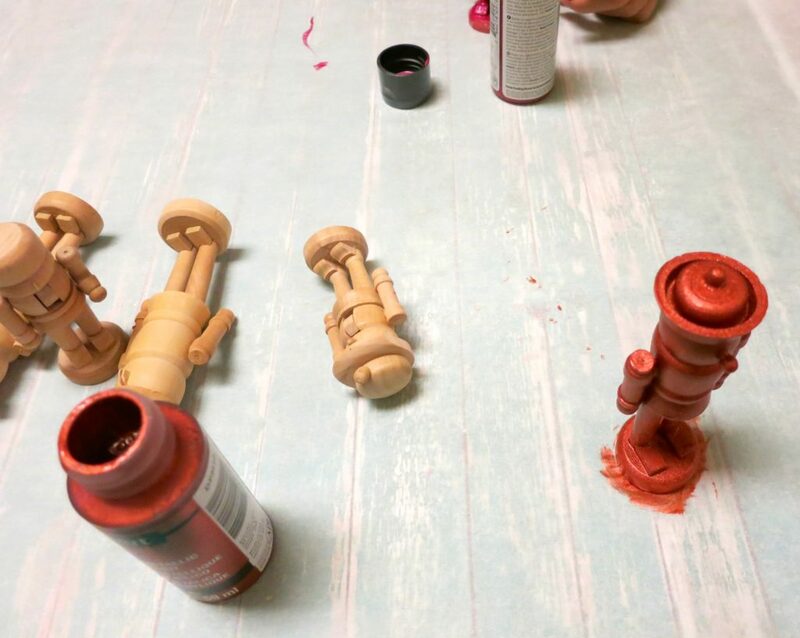 Then flip it over, hold the base, and paint from the top to the bottom of the nutcracker. Let the paint dry. 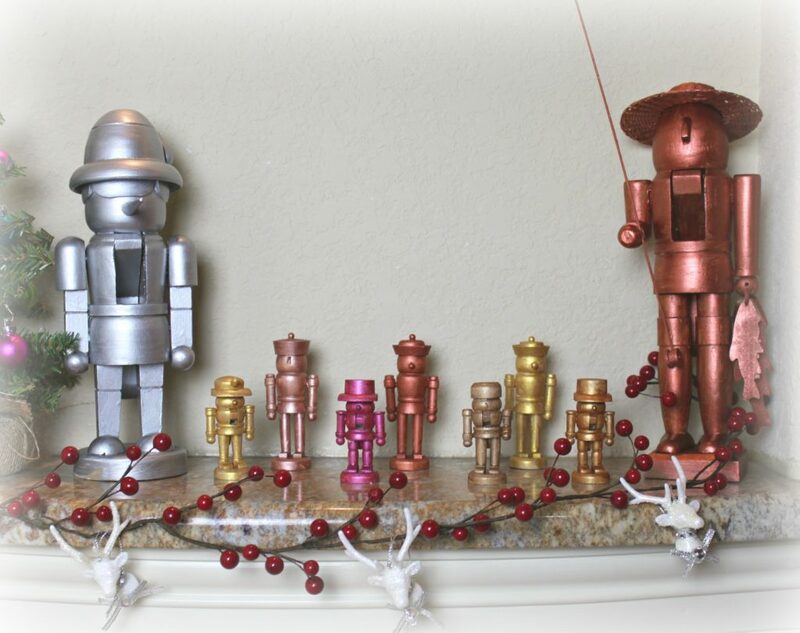 Step five: Decorate your mantle, counter, ledge, or shelf with the metallic nutcrackers. I added a holly bough and tied on some mini reindeer ornaments, also found at Goodwill San Antonio. As I find and paint more thrifted nutcrackers my display will grow! This sleek metallic nutcracker decor is a fun holiday decor craft project that my kids and I will enjoy working on for years to come.